The Verge has a look at this week's Twitter (and Facebook) storm about sea ice extent - A bleak-looking sea ice graph has Twitter in a frenzy. 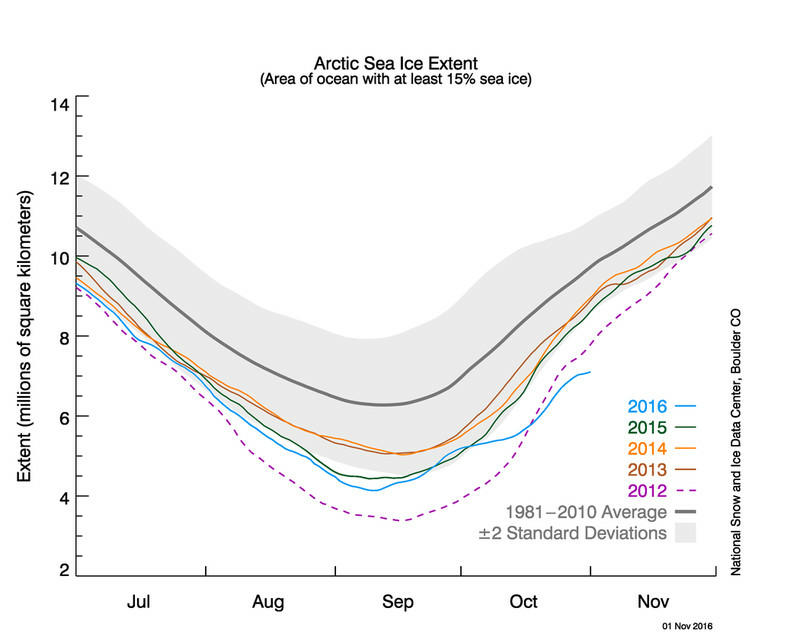 It is at record lows in the arctic, but not quite as catastrophically low as the graph circulating suggested (yet). So why is this causing such a hubbub on Twitter? What's so alarming about this representation? It's global sea ice area — meaning both the Arctic and Antarctic. We typically associate recent low sea ice cover (from climate change and natural variability) in the Arctic, but not the Antarctic. In this case, both the Arctic and Antarctic are at record lows for the date.